If we are to go for elections today, we will return to power, says Chairman of PDP’s national caretaker committee, Ahmed Makarfi – Royal Times of Nigeria. Chairman of PDP National Caretaker Committee, Senator Ahmed Makarfi, says he is confident that the party will return to power come 2019. 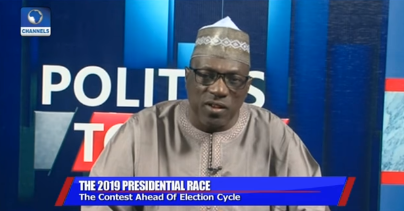 Makarfi expressed his confidence of the party’s return to power when he appeared on Channels TV last night. “We have said before and we stand by what we had said earlier, the APC is an alliance of strange bird fellows, we don’t see it lasting as a political party,”. That’s all they lust for…power! With disregard to core agenda of the people’s mandate. Beasts.